Our 150th. Anniversary Yearbook was launched by PPU President, John Cullen, at our Annual Dinner at the Westbury Hotel on Saturday last. This was the culmination of many hours of research and writing by the Authors John Cullen, Des Byrne, Bro. Paul Hendrick and Jim Conway. The book runs to 236 pages and includes many photographs, including some of historic interest as well as stories of outstanding achievement by “Row” past pupils in the fields of sport, music and the arts, public service, business, religious and academic life. 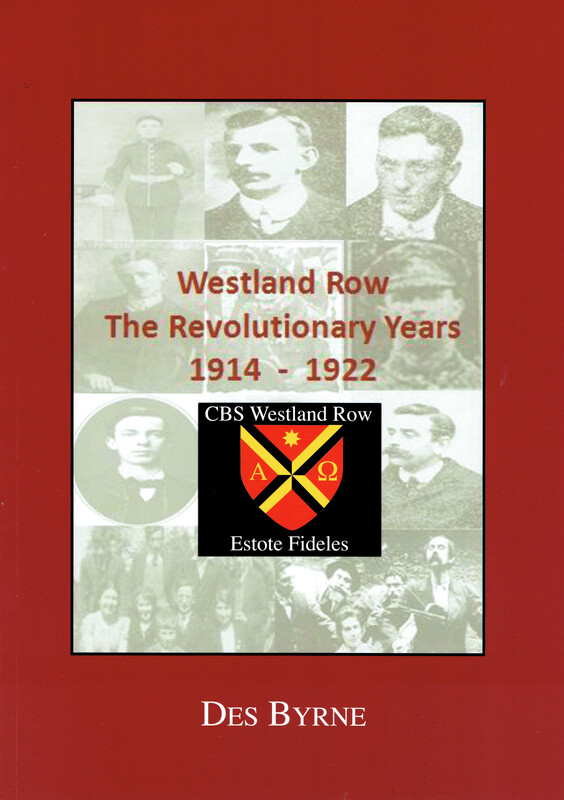 The Section called the Revolutionary Years was authored by Des Byrne (Row Person of the Year 2014) and gives an amazing account of past pupils, including the Pearse Brothers who were involved in the Easter Rising, The Great War and the War of Independence. There are some very poignant stories of families who lost sons, such as the Brennocks (who lost three sons in the Great War) and even families who lost sons fighting in the Rising and in the Great War. b) a secure credit card facility by clicking directly on THIS LINK at top of article thanks to Brian Whelan (Row Person of the Year 2016) and Bermingham Cameras for making this facility available to the PPU. Any additional donation you wish to make to support the work of the PPU will be most welcome. Please email Jim Conway (jim.conway7@gmail.com) or Michael O’Sullivan (mosullivan@bewleys.com) with the full names and addresses for postage purposes. On receipt of your payment and details your Publication will be posted to you. If you happen to be in town you can pick up your copy at Bermingham Cameras on Burgh Quay and save the postage cost. Jim Conway PPU Hon. Sec.